Our Magnetic Closure Gift Boxes feature a rich, deep red leather-like finish. Because they are thicker than other gift boxes, they are highly durable and reusable. A hidden magnet holds the lid securely in place. Your logo is foil-stamped in white on the center of the lid and the box is tied with a matching white grosgrain ribbon. 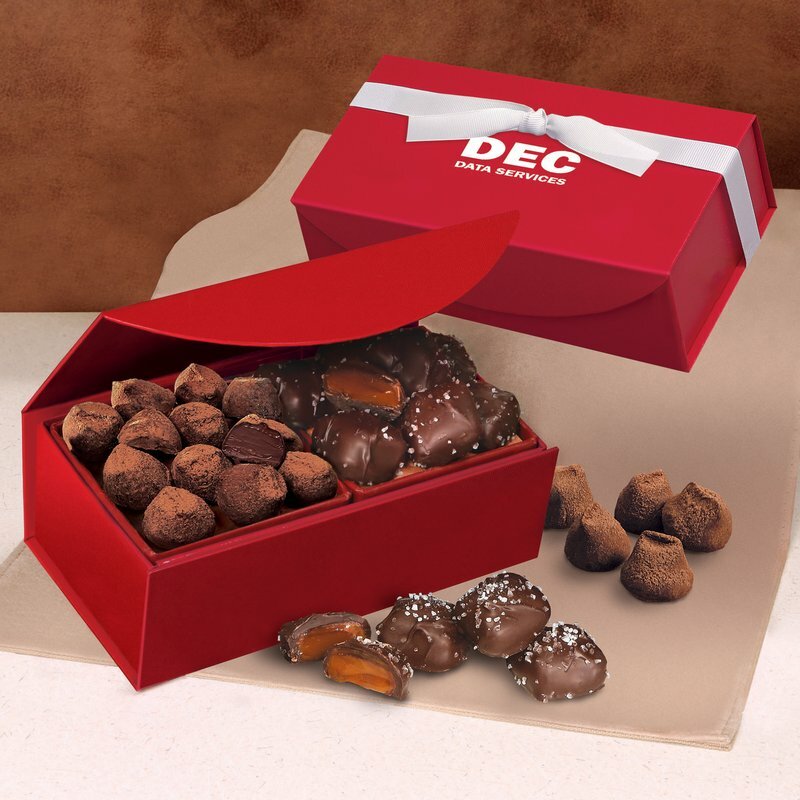 Recipients will open their gift to discover some of our most popular gourmet-quality treats... Cocoa Dusted Truffles & Chocolate Sea Salt Caramels, one-half pound.